ExxonMobil is one of the world's largest publicly traded energy providers and chemical manufacturers. The company explores for, produces and sells crude oil, natural gas and petroleum products. Its next-generation technologies meet the world's growing needs for energy and high-quality chemical products. Worldwide, ExxonMobil markets fuels and lubricants under four brands: Esso, Exxon, Mobil and ExxonMobil Chemical. Occidental Petroleum Corporation (often abbreviated Oxy in reference to its ticker symbol) is an American multinational petroleum and natural gas exploration and production company incorporated in Delaware and headquartered in Houston, Texas with operations in the United States, the Middle East, and Latin America. The company is ranked 722nd on the Forbes Global 2000 and 278th on the Fortune 500. ConocoPhillips is an American multinational energy corporation with its headquarters located in the Energy Corridor district of Houston, Texas in the United States. It is the world's largest independent pure-play exploration and production company and is a Fortune 500 company. ConocoPhillips was created through the merger of American oil companies Conoco Inc. and Phillips Petroleum Co. on August 30, 2002. In 2012, ConocoPhillips spun off its downstream assets as a new, separate company, Phillips 66. Anadarko Petroleum Corporation is an American petroleum and natural gas exploration and production company headquartered in two skyscrapers in The Woodlands, Texas: the Allison Tower and the Hackett Tower, both named after former CEOs of the company. Apache Corporation is an American petroleum and natural gas exploration and production company incorporated in Delaware and headquartered in Houston. The company is on the Fortune 500. The Phillips 66 Company is an American multinational energy company headquartered in Westchase, Houston, Texas. It debuted as an independent energy company when ConocoPhillips executed a spin-off of its downstream and midstream assets. Taking its name from the 1927 "Phillips 66" trademark of ConocoPhillips predecessor Phillips Petroleum Company, Phillips 66 began trading on the New York Stock Exchange on May 1, 2012, under the ticker PSX. The company is engaged in producing natural gas liquids (NGL) and petrochemicals. The company has approximately 14,000 employees worldwide and is active in more than 65 countries. Phillips 66 is ranked No. 28 on the Fortune 500 list and No. 67 on the Fortune Global 500 list as of 2018. Atmos Energy Corporation, headquartered in Dallas, Texas, is one of the United States' largest natural-gas-only distributors, serving over three million natural gas distribution customers in over 1,400 communities in nine states from the Blue Ridge Mountains in the East to the Rocky Mountains in the West. Marathon Oil is an independent E&P company since 2011. It is focused on the most significant oil-rich resource plays in the US -- the Eagle Ford in Texas, Permian in New Mexico, STACK and SCOOP in Oklahoma, and the Bakken in North Dakota. The company stays focused on the lower-cost, higher-margin opportunities in the US resource plays. Founded in 1887, Marathon Oil has its headquarters in Houston, TX. Pioneer Natural Resources produces natural gas and oil to help meet the world's energy demands. The company operates in the Permian Basin of West Texas, the Eagle Ford Shale play of South Texas, the Raton Basin of Southeastern Colorado and the West Texas Panhandle gas field. Founded in 1997 in Irving, TX, Pioneer Natural Resources has grown to a team of about 3800 employees. Carrizo Oil & Gas, Inc., together with its subsidiaries, engages in the exploration, development, and production of oil and gas primarily in the United States. The company holds interests in oil and gas plays, including Eagle Ford Shale in South Texas; the Delaware Basin in West Texas; the Niobrara Formation in Colorado; the Utica Shale in Ohio; and the Marcellus Shale in Pennsylvania. As of December 31, 2015, it had proved oil and gas reserves of 200.2 million barrels of oil equivalent; and operated 667 gross productive oil and gas wells. The company was founded in 1993 and is based in Houston, Texas. As a leader in the oil & gas industry, Newpark sets the industry standard in drilling fluid solutions, temporary advanced-composite matting systems & drilling additives. CenterPoint Energy is a Fortune 500 electric and natural gas utility serving several markets in the U.S. states of Arkansas, Louisiana, Minnesota, Mississippi, Oklahoma, and Texas. It was formerly known as Reliant Energy (from which it is now separated), NorAm Energy, Houston Industries, and HL&P. The company is headquartered in the CenterPoint Energy Tower at 1111 Louisiana Street in Downtown Houston. Some of its notable subscribers include Retail Electric Providers (REPs), such as NRG Energy, Champion Energy, Dynowatt, Ambit Energy, Texas Power, Bounce Energy, MXenergy, Direct Energy, Stream Energy, First Texas Energy Corporation, Gexa Energy, Cirro Energy, and Kona Energy. FMC Technologies, Inc. was a North American company that produced equipment for exploration and production of hydrocarbons. FMC Technologies was incorporated in 2000 when FMC Corporation divested its machinery businesses. It exists today as a part of TechnipFMC, after a merge with Technip in 2017. Halliburton.company is an American multinational corporation. One of the world's largest oil field service companies, it has operations in more than 70 countries. Dynegy Inc. was an electric company based in Houston, Texas, in the United States. It owned and operated a number of power stations in the U.S., all of which were natural gas-fueled or coal-fueled, until merging with Vistra Energy on April 9, 2018. . The company is located at 601 Travis Street in Downtown Houston. The company was founded in 1984 as Natural Gas Clearinghouse. It was originally an energy brokerage, buying and selling natural gas supplies. It changed its name to NGC Corporation in 1995 after entering the electrical power generation business. Core Laboratories N.V. is one of the largest service providers of core and fluid analysis in the petroleum industry. Their specialties include basic rock properties, special core analysis, and PVT characterization of reservoir fluids. The company is a publicly traded company on NYSE under the symbol "CLB" since July 10, 1998, and on Euronext Amsterdam since May 16, 2012. It is classified in the GCIS Sub-Industry: Oil & Gas Equipment & Services. EOG Resources, Inc. (successor to Enron Oil & Gas Company) is an American petroleum and natural gas exploration company organized in Delaware and headquartered in the Heritage Plaza building in Houston, Texas. Ambit Energy is an International multi-level marketing company that provides electricity and natural gas services in energy markets in the US that have been deregulated. The Stone Energy corporation was an American oil and gas exploration and production company based in Lafayette, Louisiana, founded by James Hiram Stone in 1993. They acquire and exploit mature oil and natural gas properties that have high potential. They have excavated a bulk of Rocky Mountain oil and gas in the Gulf of Mexico. Stone Energy Corp has offices in Houston, Texas and Morgentown. It is now acquired by a Houston company, the Talos Energy last May 10, 2018. Kinder Morgan, Inc. is one of the largest energy infrastructure companies in North America. The company specializes in owning and controlling oil and gas pipelines and terminals. Tenaris SA is a global manufacturer and supplier of steel pipes and related services, primarily for the energy industry with nearly 21,750 employees around the world. ION Geophysical provides acquisition equipment, software, planning and seismic processing services, and seismic data libraries to the global oil & gas industry. The company's technologies and services are used by E&P operators and seismic acquisition contractors to generate high-resolution images of the subsurface during exploration, exploitation and production operations. Headquartered in Houston, Texas, ION has offices in the United States, Canada, Latin America, Europe, Africa, Russia, China and the Middle East. Denbury Resources Inc. is an independent oil and natural gas company based in Plano, TX. Its operations are focused in two key operating areas: the Gulf Coast and Rocky Mountain regions. The company puts most emphasis to CO2 enhanced oil recovery operations. Its goal is to increase the value of its properties by combining exploitation, drilling and proven engineering extraction practices. Denbury Resources currently has 879 employees. Spectra Energy Corp, headquartered in Houston, Texas, operated in three key areas of the natural gas industry: transmission and storage, distribution, and gathering and processing. Targa Resources (NYSE: NGLS,NYSE: TRGP) is a Fortune 500 company based at 811 Louisiana, formerly known as Two Shell Plaza, in Houston, Texas. Targa, a midstream energy corporation, is one of the largest providers of natural gas and natural gas liquids in the United States. Their operations are based largely, though not entirely, on the Gulf Coast, particularly in Texas and Louisiana. Joe Bob Perkins has been Chief Executive Officer since 2012.
representing more than 140 nationalities working in more than 85 countries. Schlumberger has four principal executive offices located in Paris, Houston, London, and the Hague. Enterprise Products Partners L.P. is an American midstream natural gas and crude oil pipeline company with headquarters in Houston, Texas. It acquired GulfTerra in September 2004, and is a member of the Fortune 500. Dan Duncan (1933-2010) was the majority owner. Motiva Enterprises LLC refines, distributes, and markets fuels in the Eastern, Southern, and Gulf Coast regions of the United States. It offers base oils, which are used to manufacture finished lubricants such as modern motor oils and industrial lubricants. The company also provides terminaling services for gasoline, distillate, jet, and bio-fuel products, which are further transported via tanker trucks, pipelines, railcars, and marine vessels. It stores refined products for third-party customers; and sells unbranded motor fuels to third-party resellers, commercial customers, and other end users. The company markets gasoline, diesel, and other petroleum products through a network of Shell-branded service stations, as well as unbranded wholesalers. Motiva Enterprises LLC was founded in 1998 and is headquartered in Houston, Texas. It operates refineries in Convent and Norco, Louisiana; and Port Arthur, Texas and a network of terminals in the northeastern, southeastern, and Gulf Coast regions of the United States. Motiva Enterprises LLC operates as a subsidiary of Saudi Refining, Inc.
Dresser Industries was a multinational corporation headquartered in Dallas, Texas, United States, which provided a wide range of technology, products, and services used for developing energy and natural resources. Newfield Exploration Company is a petroleum, natural gas, and natural gas liquids exploration and production company organized in Delaware and headquartered in Houston, Texas. Southwestern Energy is a natural gas exploration and production company organized in Delaware and headquartered in Spring, Texas. Oil States International is an American multinational corporation. It focuses on providing services to oil and gas companies. It is a public company listed on the New York Stock Exchange. McDermott International, Inc. (formerly J. Ray McDermott) is an American multinational engineering, procurement, construction and installation company with operations in the Americas, Middle East, the Caspian Sea and the Pacific Rim. Incorporated in Panama, it is headquartered in the Energy Corridor area of Houston, Texas. Boardwalk Pipeline Partners, LP is an energy company based in Houston, Texas. It is a master limited partnership operating in the midstream portion of the natural gas and natural gas liquids (NGLs) industry, primarily providing transportation and storage for those commodities. Boardwalk owns approximately 14,365 miles (23,118 km) of natural gas and NGLs pipelines and underground storage caverns having aggregate capacity of approximately 205 billion cubic feet (Bcf) of working natural gas and 24.0 million barrels (MMbbls) of NGLs. Boardwalk's pipeline system originates in the Gulf Coast region, Oklahoma and Arkansas and extends north and east to the Midwestern states of Tennessee, Kentucky, Illinois, Indiana, and Ohio, and Boardwalk's NGLs pipeline and storage facilities are located in Louisiana and Texas. Boardwalk's common units are traded under the symbol "BWP" on the New York Stock Exchange (NYSE). W&T Offshore, Inc. is an independent oil and natural gas producer with operations offshore. Linn Energy, Inc. is a petroleum, natural gas, and natural gas liquids exploration and production company incorporated in Delaware and headquartered in Houston. Complete Production Services, Inc. provides completion and production services to develop hydrocarbon reserves for oil and gas companies in North America. Its completion services include coiled tubing, well servicing, snubbing, and production testing/flow back. The company also provides production optimization services; slickline services, including bottom hole pressure surveys, run temperature gradients, set tubing plugs, open and close sliding sleeves, fishing, plunger lift installations, gas lift installations, and other maintenance services; and fluids management services. It offers drilling services that include contract drilling, fishing, and pressure testing; wellbore preparation services, such as cementing, perforating, bond logging, and tubing conveyed perforation; and pressure pumping and fluid handling services. Further, the company rents specialized tools, drill pipe, pressure testing equipment, tubular goods, pressure control equipment, drill string equipment, pipe handling equipment, fishing and down hole tools, stabilizers, power swivels, and bottom-hole assemblies. Complete Production Services, Inc. was formerly known as Integrated Production Services, Inc. and changed its name to Complete Production Services, Inc. in September 2005. The company was founded in 2001 and is headquartered in Houston, Texas. Complete Production Services, Inc. operates as a subsidiary of Superior Energy Services, Inc.
TransAtlantic Petroleum, Ltd., an oil and natural gas company, engages in the acquisition, exploration, development, and production of oil and natural gas. As of December 31, 2016, the company had interests in 11 onshore and offshore exploration licenses and 25 onshore production leases covering an area of 395,000 net acres in Turkey; and a production concession covering an area of approximately 165,000 net undeveloped acres in Bulgaria. TransAtlantic Petroleum, Ltd. was founded in 1985 and is based in Addison, Texas. MRC Global is a global distributor of pipes, valves, fittings, automation and measurement products headquartered in Houston, Texas. Cobalt International Energy, Inc. is a development stage petroleum exploration and production company headquartered in Houston, Texas. Cobalt International Energy Inc. filed for bankruptcy on December 14, 2017. Oasis Petroleum is a petroleum and natural gas exploration and production company organized in Delaware and headquartered in Houston, Texas, with an office in Williston, North Dakota. Superior Energy Services, Inc. is an oilfield services company. In 2014 it ranked 534 on the Fortune 1000. Range Resources Corporation is a petroleum and natural gas exploration and production company organized in Delaware and headquartered in Fort Worth, Texas. It is one of the largest exploration companies operating in the United States and pioneered operations in the Marcellus Formation. Sunoco LP is a master limited partnership organized in Delaware and headquartered in Dallas, Texas that is a wholesale distributor of motor fuels. It distributes fuel to 5,322 Sunoco-branded gas stations, almost all of which are owned and operated by third-parties. The partnership is controlled by Energy Transfer Partners. FTSI is one of the largest well completion providers in North America - enhancing #OilandGas recovery rates through pressure pumping & wireline services. Gravity provides complete Oilfield services for all major Oil & Gas basins in the US. Water Solutions, Power Generation & Rentals, & Wellbore Solutions. WildHorse Resource Development Corporation is an independent oil and natural gas company focused in the Eagle Ford Shale, located in east Texas. Merit Energy Company is one of the largest privately held US-based oil and gas companies by production volume, with some $1 billion in net income on $2.1 billion in revenue. The company was formed in 1989 by William K. Gayden, formerly of EDS and Petrus Oil and Gas L.P., which was founded by H. Ross Perot. The Investor Relations website contains information about Matador Resources Company 's business for stockholders, potential investors, and financial analysts. Adams Resources and Energy, Inc. is a Fortune 1000 company engaged in the production and marketing of crude oil, natural gas and liquid chemical products. Adams was founded by K. S. "Bud" Adams Jr. in 1947, as the ADA Oil Company and went public in 1974. The Company and its subsidiaries presently have over 800 employees. TNP Enterprises, Inc., through its subsidiaries, generates, purchases, transmits, distributes electricity in Texas and New Mexico. The company provides electric service to approximately 246,000 customers in 85 Texas and New Mexico municipalities, and adjacent rural areas. TNP Enterprises, Inc. also provides transmission and distribution services to agricultural, food processing, oil and gas, mining, petrochemical, and tourism industries. The company was founded in 1983 and is based in Fort Worth, Texas. As of June 6, 2005, TNP Enterprises, Inc. operates as a subsidiary of PNM Resources, Inc.
Headquartered in Fort Worth, Texas, Lonestar Resources is involved in exploration, production, and acquisition of unconventional oil and gas reserves in the Eagle Ford Shale, in which our leasehold position currently exceeds 58,000 net acres. One of North America's largest Cat dealers, Warren CAT is Texas and Oklahoma's resource for heavy equipment, equipment rentals, engines, power systems, parts & service. National Oilwell Varco (NOV) is an American multinational corporation based in Houston, Texas. It is a leading worldwide provider of equipment and components used in oil and gas drilling and production operations, oilfield services, and supply chain integration services to the upstream oil and gas industry. The company conducts operations in more than 600 locations across six continents, operating through three reporting segments: Rig Technologies, Wellbore Technologies, and Completion & Production Solutions. Gastar Exploration Inc., an independent energy company, engages in the exploration, development, and production of oil, condensate, natural gas, and natural gas liquids in the United States. Its principal activities include the identification, acquisition, exploration, and development of oil and natural gas properties on unconventional reserves, such as shale resource plays. The company holds interests in the oil and natural gas-rich reservoirs, including the Meramec and Osage, the Oswego limestone, the Woodford shale, and Hunton limestone formations. As of December 31, 2016, its principal assets included the STACK play covering approximately 83,800 net acres located in the Mid-Continent area of the United States, as well as approximately 14,500 net acres in the Appalachian Basin in West Virginia. The company was formerly known as Gastar Exploration Ltd. and changed its name to Gastar Exploration Inc. in January 2014. Gastar Exploration Inc. is based in Houston, Texas. Cabot Oil & Gas Corporation is a petroleum, natural gas, and natural gas liquids exploration and production company organzied in Delaware and based in Houston, Texas. We make life easier for the oil industry. Basic Energy Services provides outstanding customer support, operating excellence and industry knowledge to ensure reliable and consistent performance in oilfield services. Texas Crusher Systems, Inc. (TCS) manufactures a VSI Crusher with a difference! Klabzuba : A private family-owned enterprise. With investments in oil & gas and commercial real estate. JVIC, based in Pasadena, TX, is the leading provider of turnaround and specialty services to North America's process industries. Established in 1998 as a specialist welding firm, today JVIC has much broader technical capabilities and offers catalyst services, tower services, machining, beveling, exchanger bundle extraction/installation, bolt torqueing, and much more. 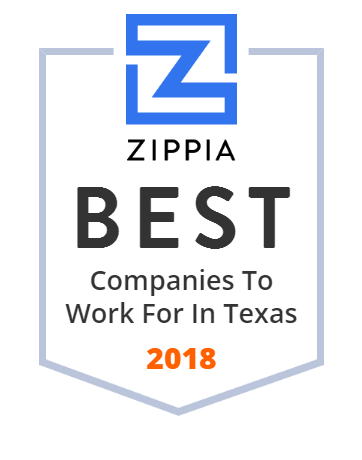 JVIC has been a Zachry Group Company since 2012.